After an unprecedented two extensions, the summer king salmon season for trollers in Southeast is over. 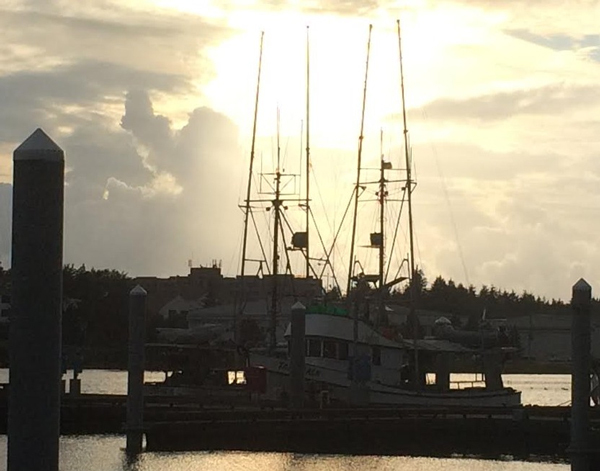 The Alaska Department of Fish & Game closed the fishery at 11:59 PM Monday, August 18 — two days later than planned. Pattie Skannes is troll management biologist for the region. The target for the three-day opener was 36,000 kings. But on day one, it looked like trollers were bringing in about 12 fish per day. During the first opener of the season — the first week of July — trollers were landing about 50 kings per day. An August storm blew in and kept many of the region’s 700 trollers off the ocean. So the department extended the opening 24 hours to Sunday night. And then another 24 hours until Monday night. As the weather improved, Skannes says, so did the fishing. Skannes relies on fishermen to keep her informed of their success during the fishery. During a three-day opener, the Department can’t collect fish tickets from processors quickly enough to make timely decisions about how things are going. So a number of boat call in their catch rates directly to Skannes, and she estimates the total harvest based largely on this voluntary survey. It’s a strategy to avoid undershooting the harvest, and having a third opener later in the summer. In the first summer opener in July, trollers landed almost 200,000 kings. They were paid an average of $3.14 per pound. Since then, the catch rate for coho salmon has skyrocketed, with trollers sometimes bringing in hundreds of coho with their kings. The average price for coho has been around $1.49 per pound. Although this wraps up the summer season for kings, trollers will still be on the ocean fishing for coho and chum salmon for the next few weeks. And come October, trollers will once again be able to target kings when the winter fishery gets underway.